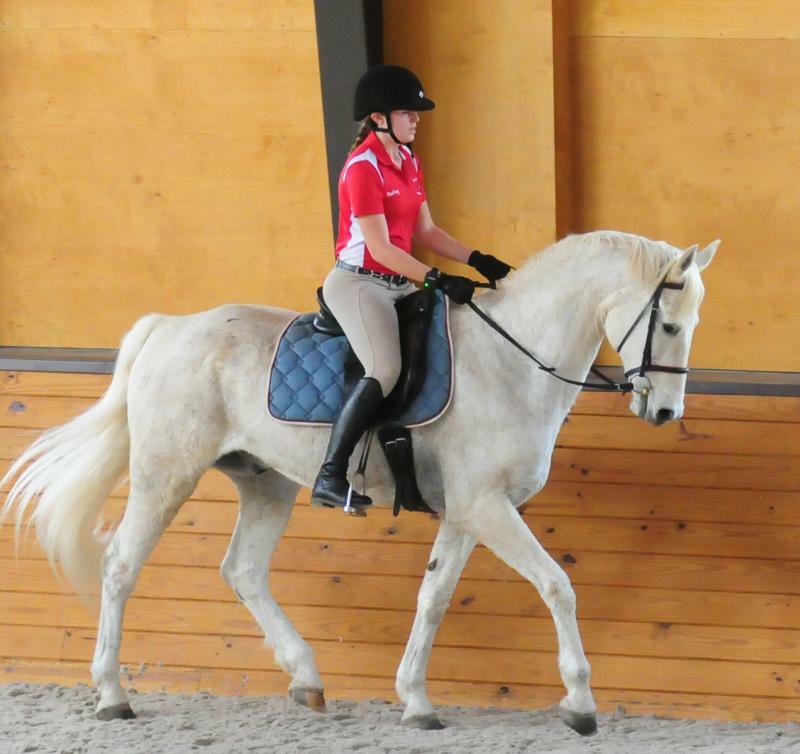 Our riding program is geared for riders who have a passion for learning an effective, correct position and how to apply their aids to gain the best performance from their mount. Riders who work with us experience a very personal journey that includes personal discovery and better body awareness by becoming more aware of how their communication style and expectations come across to the horse. 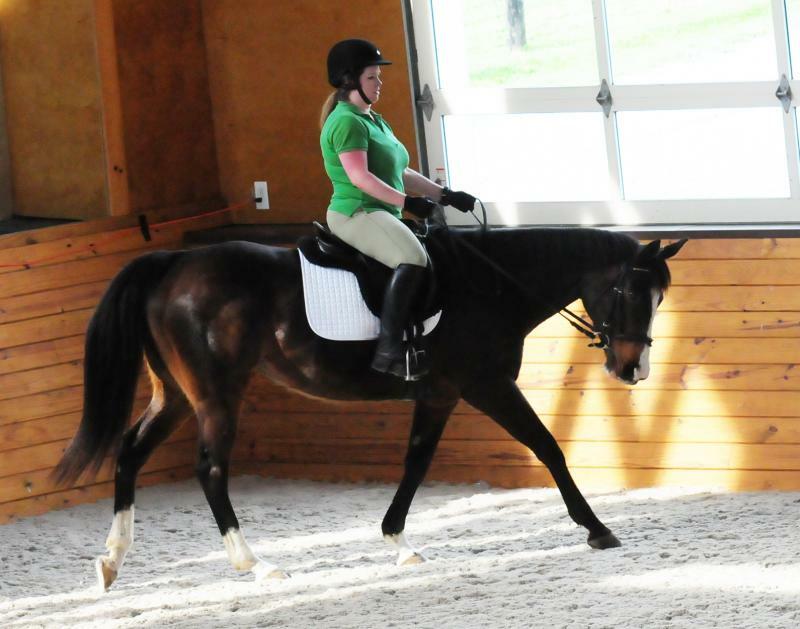 Riding one-on-one isn't easy as the lessons are totally focused on you and your horse. 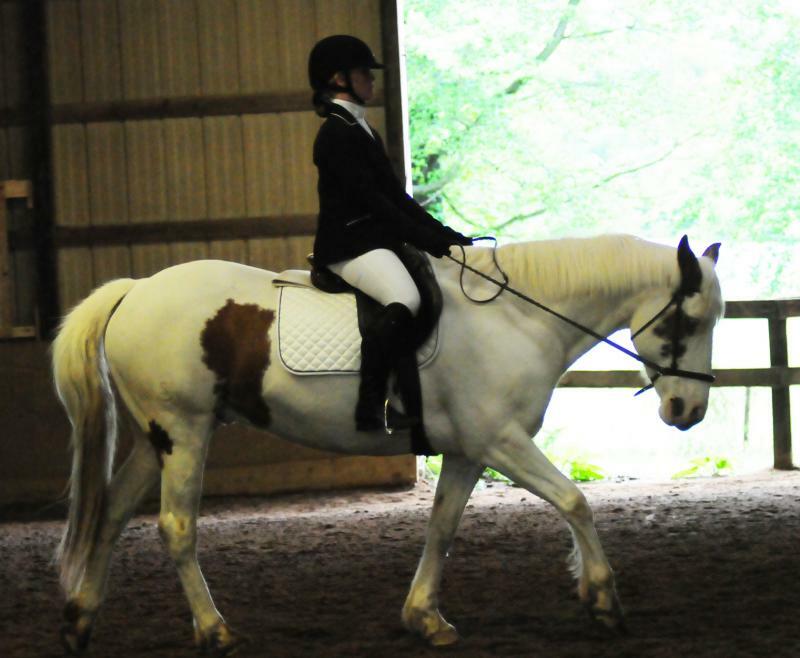 You will learn how your position affects the horse, and strive for well-balanced transitions and self-carriage. Our lessons are very, very different than what you'll find in a group lesson environment which can be overwhelming for anyone who doesn't have internal drive and determination to learn. Is it fun? Yes! Is it hard? Yes? Is it worth it? You decide! Our student base is comprised of adults of all ages who range from beginner to "re-riders" who are coming back to riding after a hiatus, as well as a handful of motivated kids. 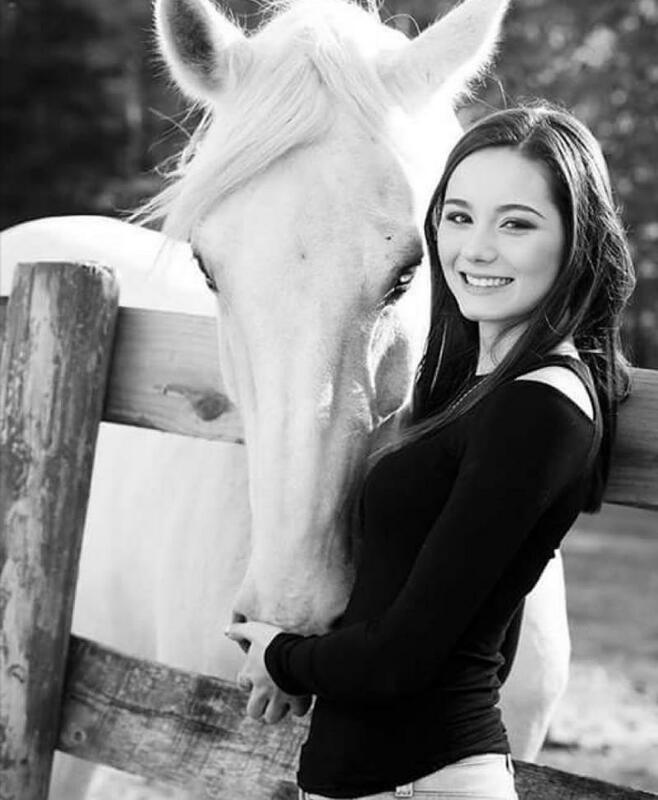 All of our riders share a passion for learning and a love of horses. One-on-one lessons are our focus, that means you have our undivided attention for the full lesson. 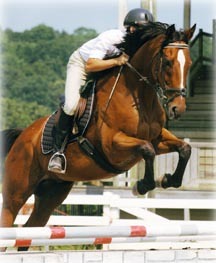 Encore's horses are usually only ridden once a day, so riders are riding a happy, fresh horse who likes his work. 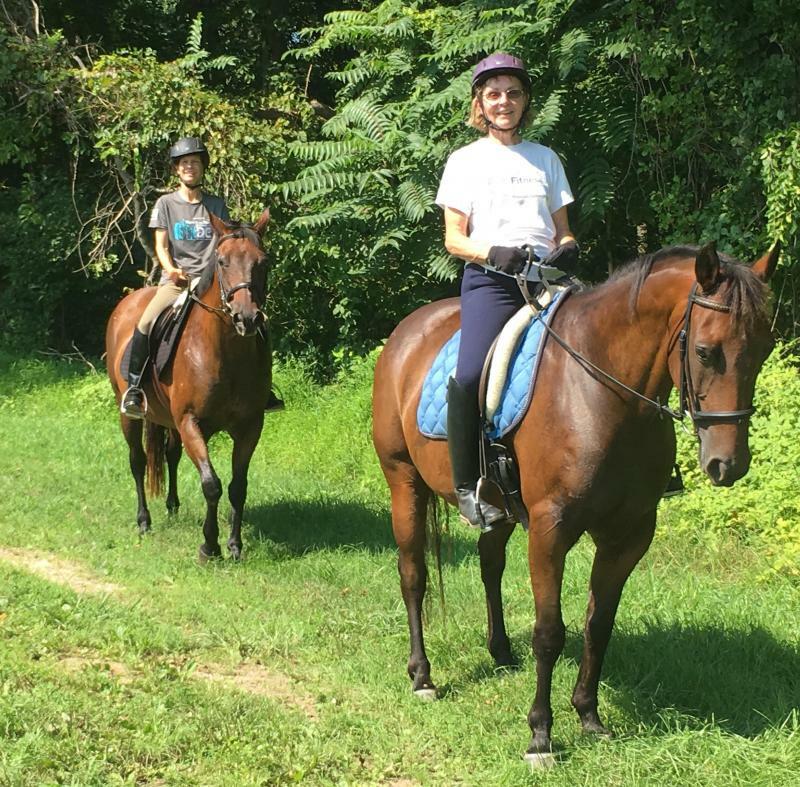 For those students riding our horses, the experience is equivalent to those owning their own horse riding with a personal trainer because you work with horses that are within your comfort zone, but you are working on their personal development program. 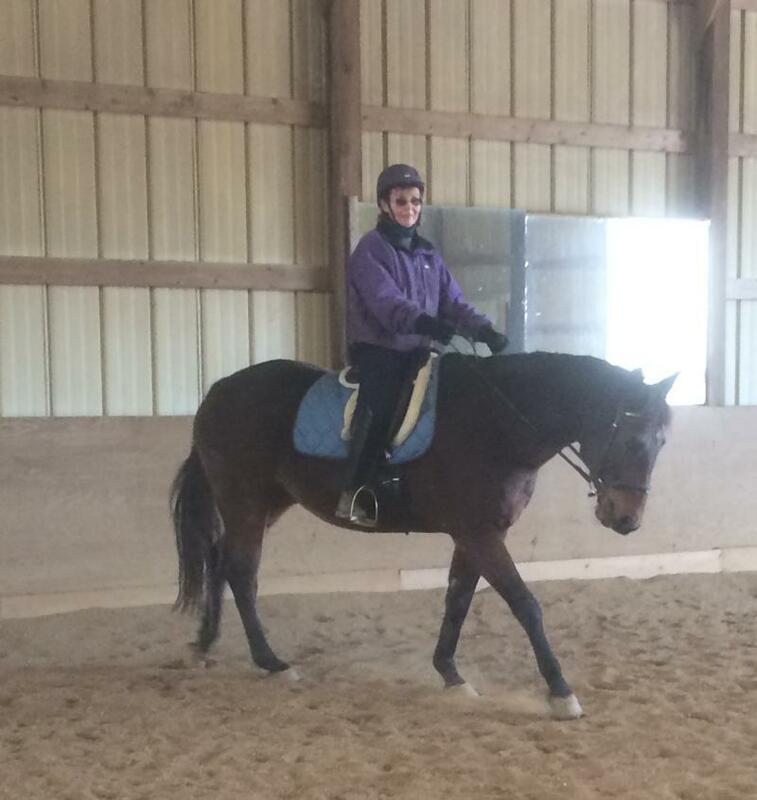 You'll share the horse's journey as he improves his balance, changes his muscling, and becomes more flexible. This teaches you not only the riding skills you need to improve your position and effectiveness, but you gain a very deep understanding of how the horse's biomechanics work in coordination with yours. We share with you the "how's and why's", not just the "how to's" so you get a comprehensive learning experience. 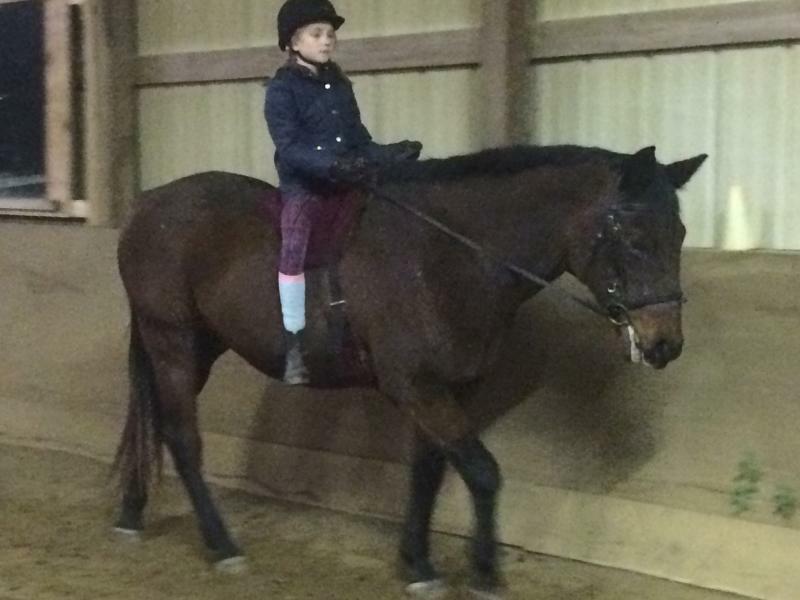 Our riders range in age from 10 to 70, but all share a passion for horses and learning! We have a reputation as a friendly, welcoming barn where riders work towards individual goals, at a pace comfortable for them. 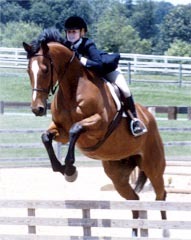 We offer lessons on our horses, as well as client-owned horses. 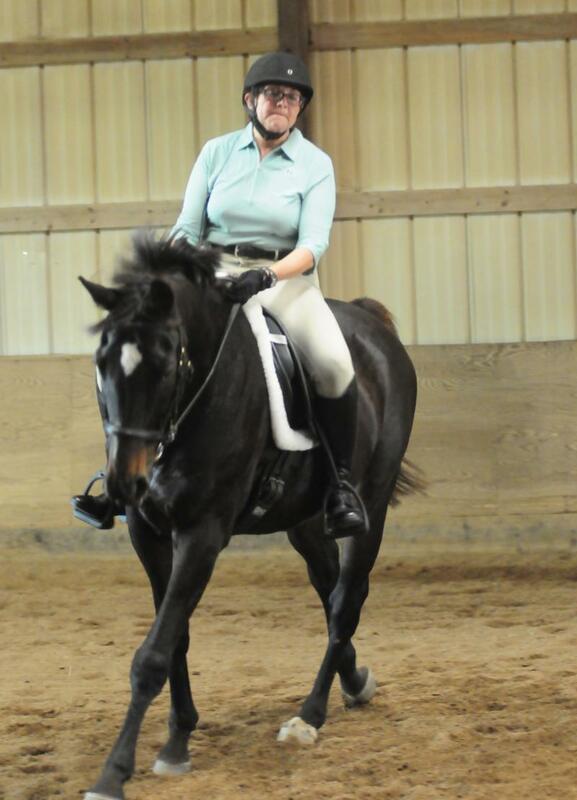 Our instructors have a passion for helping riders develop their skills and confidence both in and out of the saddle. 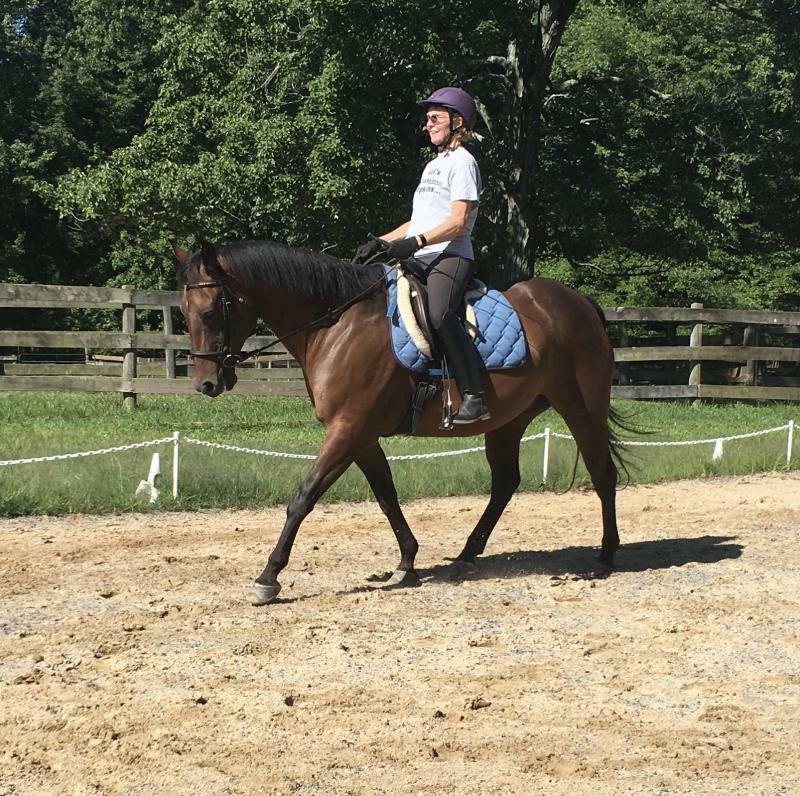 Whether you are riding your horse or ours, you will learn how to create a fluid moving, well balanced horse that's happy in the bridle, and soft off your aids. With a balanced seat you'll work with your horse, understanding how to communicate in a way that strengthens the relationship between horse and rider. Lessons are taught with passion and enthusiasm! We work with people who share our passion for horses and want to not only improve their riding, but gain a deeper knowledge of horses. 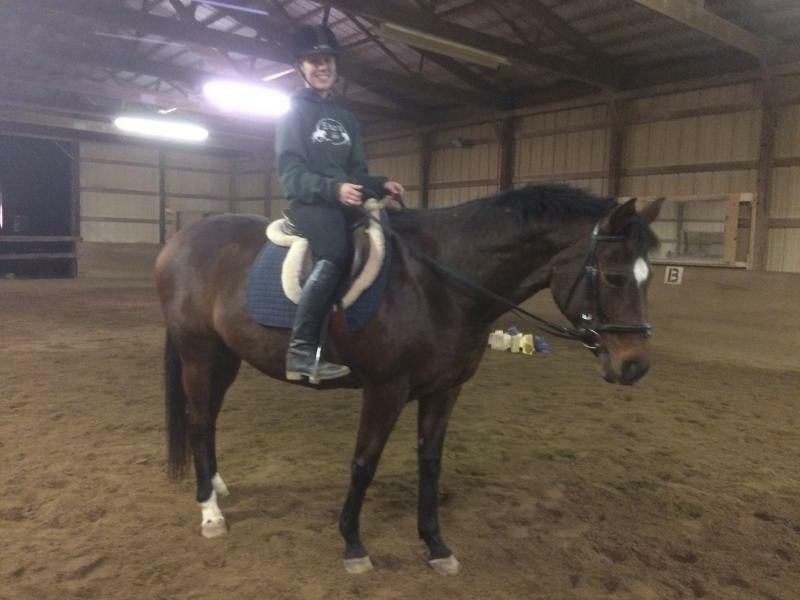 We especially enjoy working with adults, whether experienced or new to horses! Whether you are currently riding or coming back from taking time off, we are happy to work with you. Sometimes a fresh perspective is all it takes to help you break through to the next level! We have the unique ability to identify areas that need work and communicate with you in a manner that works for you, taking into account your learning style, comfort zone, and horse's abilities. As part of the horsemanship experience, you will be responsible for retrieving your mount from the field or stall, giving him a full grooming, and tacking him up prior to riding, as well as cooling him out and returning him to his field or stall. Beginner riders work with their instructor to learn how to do these things are part of their early lessons, but ultimately riders should plan on coming early enough to be ready to ride at their lesson's start time. How much time should you allow? That depends on how fast you move, and if it is the muddy season, but 15-30 minutes generally works well. 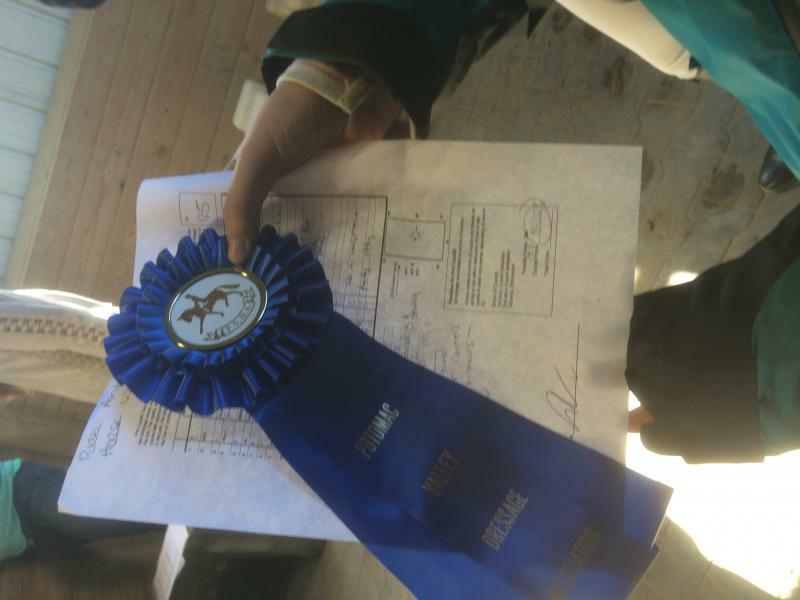 Each lesson is structured with a ten minute or so warm-up with the horse traveling long and low at the walk and trot before the harder work begins, then horses are given a cool down period prior to ending the lesson. If the horse is very hot after the lesson is over, you may need to walk the horse from the ground to finish his cool out period, just as if he were your own horse. For those of you that work out, you'll notice that our horse's training program is not so different than your own! Some lessons include poles and jumps, while others focus on dressage, while others are done out on our cross country jumps. There's always something challenging in the lessons, but we try hard to make the experience fun for all. You must arrive early enough to catch, groom, and tack up your own horse, as well as plan on staying to cool him out and return to his stall or pasture. 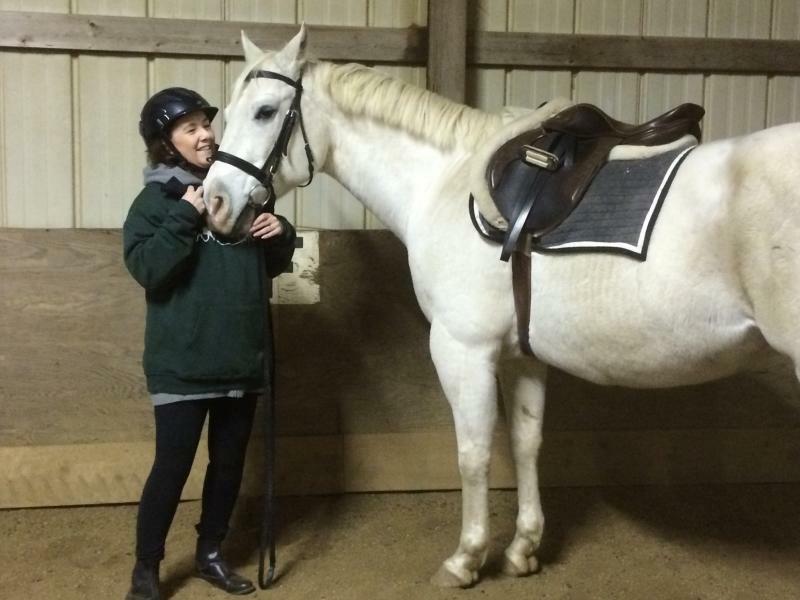 Our lesson experience is the same as if you were riding your very own horse! Purchase 10 lessons and get one free lesson! We offer day, afternoon, and evening lessons! All riders are introduced to riding using a balanced seat, the basis for all riding. 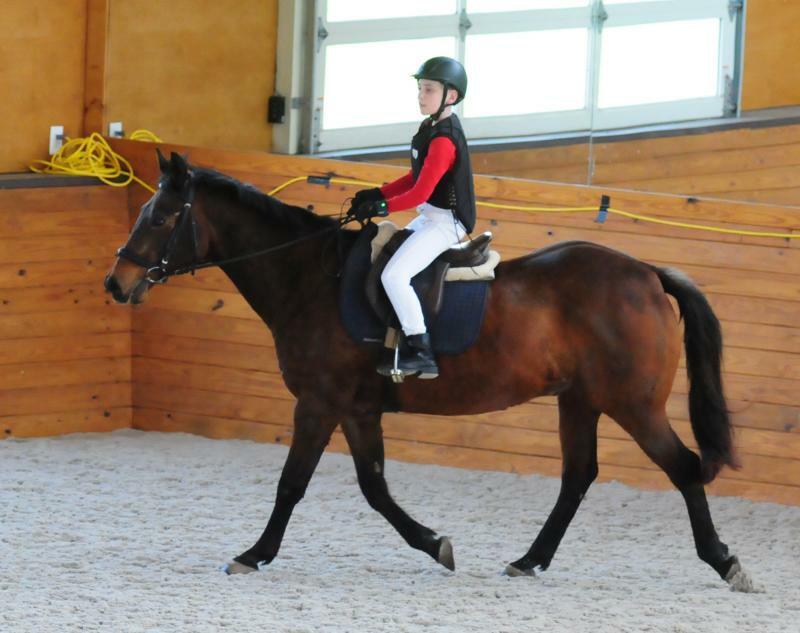 You'll learn to ride softly in balance with your horse, while developing your horse's own balance and strength. You'll get an education in how to ask a horse to use his "engine" and move from his hind end, lifting his back, and carrying you forward in way that feels like you're floating on air. There's nothing as amazing as riding a horse in balance, feeling like you've got autopilot and can simply "think" your next move. 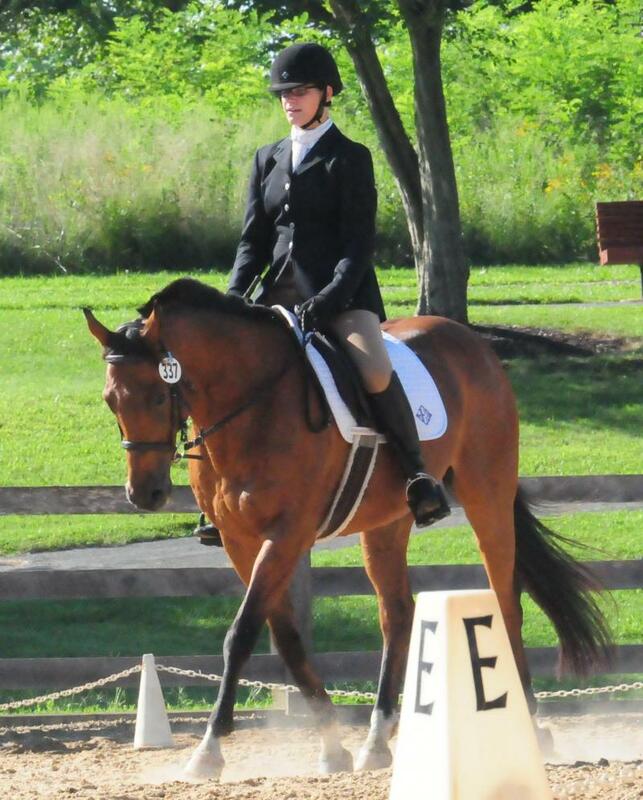 Welcome to dressage! Gymnastics over cavaletti and bounces are often used to help you and your horse advance, but we believe strongly that getting out of the ring and using hills and open fields are essential components to developing both you and your horse's skills and confidence. Call or txt 301-526-8273 to speak with us!